We are passionate about coffee and want our industry professionals to share this passion. That is why we offer courses at our in-house training facility so you can develop and explore the requisite qualities for excelling as a HORECA or vending industry professional. From adjusting a machine to creating the perfect cup, our training courses are practical and practice-oriented, while providing sufficient theoretical information. Introduction to coffee: Learn about coffee’s journey from its origins in Ethiopia to the major commodity it is today. From growing the cherries through grading, roasting, and brewing, this module provides an overview of the coffee value chain. 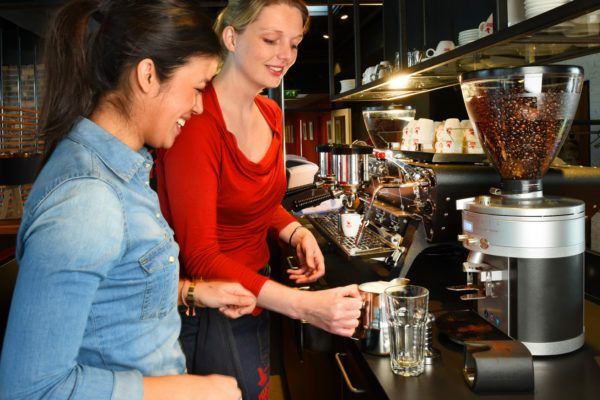 SCA Barista skills courses: Foundation, Intermediate and Professional. Vending products: the use of instant products and coffee solutions. Are you interested in a training course? Please contact your export manager.